Kingston & Knight Audit offers a leading suite of compliance audit services Melbourne designed to ensure that your business, organisation, or entity is compliant with its financial reporting obligations. Different compliance audit requirements apply to different types of organisations or entities, and the individual circumstances of each client. On this page we will explore the different compliance audit requirements that may apply to our clients, and the way our compliance audit services Melbourne can help meet these requirements. Our compliance audit services Melbourne are designed to take the hassle out of mandatory audit and assurance requirements. If you are an individual responsible for a managed investment scheme, we assist you in identifying how your investment and financial activities affect your compliance. For companies, we deliver timely, transparent, and comprehensive auditor reports for your financial statements or financial reports. If you have been contacted by a regulator, group of stakeholders, or other entity demanding assurance regarding your financial statements, we will meet these requirements quickly and efficiently. Compliance Audit Services Melbourne – What is a compliance audit? Compliance audits are part of the broader process of assurance, that is, verification of an organisation’s financial information and position through a systematic, standardised analysis conducted by an approved assurance practitioner. Generally, a compliance audit refers to the systematic analysis of an organisation or entity’s financial statements. This may be carried out at the request of a regulator, industry body, stakeholders, or on the entity’s own volition. For example, publicly listed companies are required to appoint an approved independent auditor to conduct a yearly audit and review of the company’s financial statements. Following the audit and review process, the independent auditor provides a signed auditor’s report which the company or entity may then use for compliance or other purposes. Compliance audit services are most often directed at the financial statements of the relevant entity. Compliance Audit Services Melbourne – What are financial statements? For audit and assurance purposes, financial statements or financial reports simply refer to the formal record of an entity’s financial position and activity. Record keeping requirements are included in regulations and laws affecting the formation and operation of companies and other organisations/entities. Besides the legal requirement to keep financial statements that adhere to standards, failing to do so can result in an inability to meet compliance requirements in other ways. For example, if an entity is required to undergo an annual audit and review process, or is requested to appoint an independent auditor tasked with providing an auditor’s report, failure to maintain financial statements will be reflected in the auditor’s report and have any relevant consequences. Financial information should be prepared and presented in a structured and intuitive way, ensuring that any reader can logically follow the contents of financial statements. An organisation or entity’s financial statements may be broadly separated into two sections; basic or general financial statements, and a more detailed management analysis and discussion of this information. Statement of financial position, or balance sheet. This describes the liabilities, assets, and equities associated with the entity’s financial position at a discrete time point. Income statement; states the entity’s expenses, income and profits for a discrete time period. If the entity operates as an enterprise, the income statement should include a profit and loss statement describing how the enterprise’s operations affect its financial position. Equity statement, statement of retained earnings, or statement of changes in equity; states any changes in equity during the relevant time period. Cash flow statement; this is a statement outlining the entity’s financial activities, such as financing, investment, and operations resulting in cash in or out of the entity’s possession. The above will differ in contents, structure, and details according to the type of entity and its circumstances. However, these four categories comprise the basic financial information that must be included in an entity’s financial statements when submitted for audit or review. The reason being that it is for this information that assurance is sought by stakeholders and regulators. 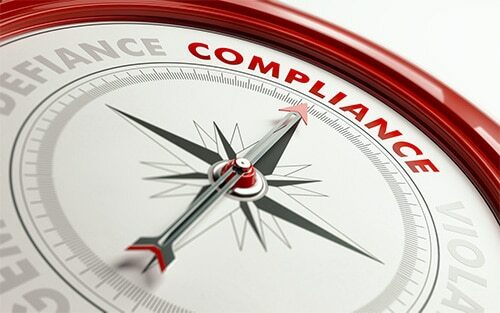 We will explore the application of our compliance audit services Melbourne for these companies and investment schemes. Bear in mind the fact that this is in relation to entities required by ASIC to appoint an independent auditor for compliance purposes. Other entities may be required to appoint an independent auditor in certain circumstances, such as being requested to do so by a regulator, shareholders, etc. Companies are required to appoint an independent auditor as part of their financial reporting obligations. As a result, this kind of obligatory audit may be referred to as a compliance audit for our purposes. When auditing a company’s financial statements, the audit is primarily financial in nature. This means that the company is responsible for providing the appointed auditor with the relevant financial statements. These should be included in the company’s half-yearly financial report. The role of the appointed auditor is to review the company’s financial report/financial statements and to provide a signed auditor’s report to members of the company. An independent auditor will examine the company’s financial report/financial statements to ascertain whether satisfactory records have been kept, and statutory requirements have been satisfied. These criteria will be set out and explained in the auditor’s report. Once received, the company may submit the auditor’s report as part of their required documentation for financial reporting purposes. They may also use the findings from the auditor’s report to make any necessary adjustments to their quality and control processes. A managed investment scheme may include a self-managed super fund, in which an individual allocates superannuation payments to a managed investment fund. These funds cannot be accessed by the trustee until they are legally able to retire. Managed investment schemes, in general, are required to appoint an independent auditor within a month of registering with the Australian Securities and Investments Commission. Compliance audit requirements will differ depending on the nature of the managed investment scheme and its activities. For example, an SMSF is required to have their independent auditor conduct a compliance audit and provide an auditor’s report before the SMSF trustees can submit their annual SMSF return to the tax office. Compliance Audit Services Melbourne – What is included in an auditor’s report? The contents of an auditor’s report must reflect the standards set out in section 307 of the Commonwealth Corporations Act. The Act describes the responsibilities of independent auditors and what they must include in their finalised auditor’s reports. Whether the entity being audited as part of their compliance organisations assisted the auditor in conducting the required audit or review. This includes whether the entity offered any requested assistance and/or explanation required by the auditor to finalise their report. If the financial statements or financial report being reviewed or audited is compliant with accounting standards. These standards required financial reports and statements to offer a fair and true depiction of the entity’s financial position and/or performance. Whether the entity has complied with the relevant registration and record-keeping requirements set out in the Act. If the entity’s financial records offer sufficient information with which a financial report may reasonably be prepared, reviewed, or audited. In short, the duty of an appointed independent auditor is to ensure that an entity’s financial statements and reports reflect the facts of that entity’s financial position and activities. Compliance Audit Services Melbourne – Why Choose Kingston & Knight Audit? Kingston & Knight Audit offers the kind of reliability and competitive rates that can only be found when dealing with smaller firms. When you contact our Melbourne auditors, you will speak to real people. Independent professionals who hold your needs and circumstances as highly as their own. This is what makes our compliance audit services Melbourne the best in the business. If you have only recently established your organisation or entity, our assurance practitioners can inform you of the compliance requirements likely to affect your entity. With over 40 years’ collective experience in the financial services industry here in Melbourne, we have seen it all before, and kept well abreast of regulatory changes and rulings. This enables us to apply our experience to your new endeavour, in line with your vision, your objectives, and your duties as a compliant Australian entity. As we mentioned previously, the Kingston & Knight Audit team is always available to help with your compliance questions and queries. To consolidate this fact, we ensure that all our clients are aware of the free initial telephone consultation we provide. This ensures that you are adequately informed of how Kingston & Knight Audit can best serve your requirements, and ensure the compliance of your organisation or entity. During your initial telephone consultation, we will explore the compliance requirements of your entity, and how our compliance audit services Melbourne can help you in meeting these. This can also help to put your mind at ease regarding financial reporting and audit compliance procedures, which are daunting for the uninitiated. Contact our Melbourne auditors today to ensure that your organisation or entity is meeting its compliance requirements. As experienced financial professionals, we will assist you in understanding the financial reporting obligations that affect you and how they relate to your financial position. To learn more about our compliance audit services Melbourne, contact us by phone on 1800 283 471 or email at audit@kingstonknight.com.au .